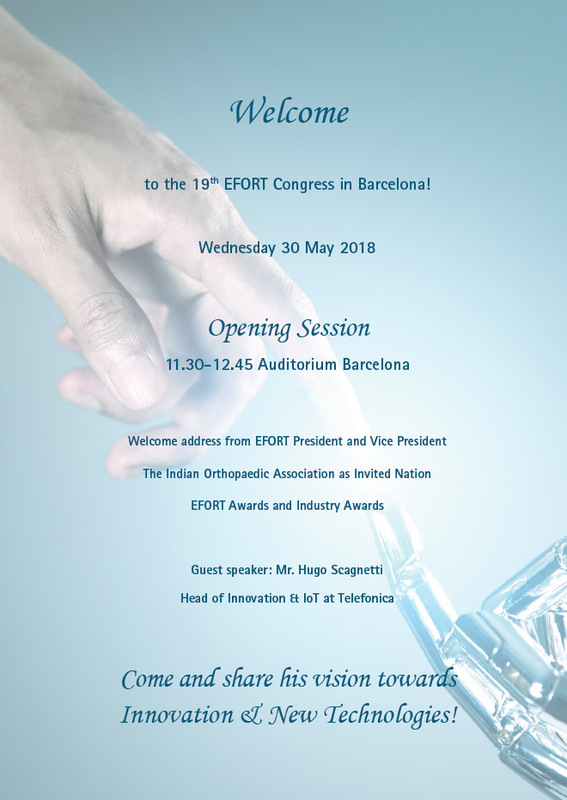 EFORT invites you on Wednesday 30 May 2018 to attend the Opening Session of the 19th EFORT Congress in Barcelona. The welcome speeches and the award ceremony will take place from 11:30 to 12:45 in the Barcelona auditorium. EFORT is happy to announce that Mr. Hugo Scagnetti, Head of Innovation & IoT at Telefonica Spain will share with us his vision towards Innovation and New Technologies, this year’s main theme of the congress. Join us for the Opening Session in Barcelona!